Mike Kensler has been dedicated to accelerating sustainability for many years, starting with his studies at the University of Michigan where he earned a M.S. in Natural Resources Management, Planning, & Policy. He’s also certified as a Gallup StrengthsFinder coach and LEED Green Associate. 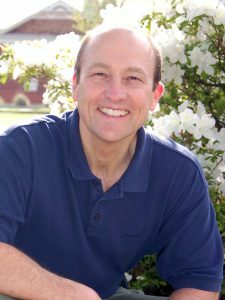 In his professional life, Mike has worked for the Chesapeake Bay Foundation and National Wildlife Federation on diverse natural resource and environmental policy issues. His work for these organizations and elsewhere has included organizational and professional development, civic engagement, team learning, and leadership training to empower individuals and groups to create wellbeing and positive change. Q: How and when did you join the AtKisson Group? A: 2011, after taking Alan’s online VISIS/Pyramid workshop, and receiving in-depth training from Robert Steele. Q: Why did you start working with sustainability? When did that happen? A: In graduate school, 1988-1990 at the University of Michigan School of Natural Resources and Environment, sustainability was an important frame in my degree program. I have always had an ethic of care for the environment and justice and wellbeing for people. It seemed natural to me, and is energized by the core of my personal values. Q: What was your first professional role working with sustainability? Q: What do you “bring to the table”? What are your areas of expertise? What do you enjoy working on? A: I have always worked as an advocate at the interface of science, policy, and the public and have cultivated the ability to communicate sustainability concepts to all three groups in understandable ways that create relevance and meaning. I base my work on creating trusting relationships and partnering with others to create successful outcomes. I understand the principles and practices of movement building and civic engagement and have experience in these areas. I have expertise in the concepts and practices of leadership, creating learning organizations, and individual empowerment. My work is based on two frames, Current Reality (“Sustainability is a response to a planetary emergency,” Mitch Thomashow) and our Desired Future (“The many crises facing us should be seen … not as threats, but as chances to remake the future so it serves all beings,” Amory Lovins). I believe the power of the sustainability movement lies in focusing on the future we want to create and empowering people to act effectively to get there. My work is aspirational and I strongly believe and have training in Appreciative Inquiry and Strengths-Based professional development. Working in that context I enjoy identifying areas of common interest and meaning and co-creating initiatives that result in progress. Q: What’s the most challenging part of your work? A: The lack of time to do everything that needs to be done. Q: What’s the most rewarding part of your work? A: Engaging with others, helping them see the relevance of what they do to creating a flourishing future, and facilitating their ability and power to make things happen. Also, communicating verbally and in writing in ways that reach the audience. Q: What is one positive impact (big or small) you’ve made with your work in the past year that you feel especially good about? A: Auburn University recently committed to designing and building LEED-certified buildings and this office had a key catalyzing role in making that happen. Q: How does the sustainability landscape look in the world today, through your eyes? What are the most promising trends or opportunities you see? A: To quote Charles Dickens, ‘It [is] the best of times, it [is] the worst of times….’ I agree with the premise Paul Hawken explains in his book Blessed Unrest, that there is a large, unseen and unreported global movement of millions working in small informal groups to large multi-national social/non-governmental organizations to create positive change. Add to that what is happening at the leading edge of business by companies like Interface, Patagonia, Unilever, etc, and there is significant forward momentum. In the face of the shocking and troubling election of Donald Trump and his horrific appointments, I witness and hear of people getting out of their houses and organizing to fight back to protect what has been accomplished and lay the groundwork for more forceful positive change. In my view, only people organizing and acting can overcome the powerful, wealthy interests that dominate government and what barely can be described as “public” policy in the United States, and more people are coming together to organize and act. These trends seem to be going on elsewhere around the planet. How am I showing up today, am I bringing my best self to the world today? What kind of an impact do I have on others, am I seeing and speaking to the best in others and nurturing their wellbeing in all my interactions? How do I treat the world around me, the natural and built environment? Do I treat it with the care and respect it deserves, especially since my existence depends on these things? What am I leaving for those who come after me? I think if we individually and collectively think about these things and do our best to be able to answer these questions affirmatively, we are on the road to a future we want to live in. AtKisson Group is a global network of firms, university-based offices, and individual practitioners working to accelerate transformative change for sustainability. Learn more about our network members here.